Twohawks is the Director and Founder of the Native American Flute Circle of Louisiana, Vice-President of Louisiana Indian Heritage Association (retired), Louisiana State Governor of the American Métis Aboriginal Association National Lodge (retired), the Ceremonial leader of the Tickfaw River Band of the Louisiana Métis Bear Clan and an active member of the International Native American Flute Association since 1998. Raven's Cry is Twohawks' third album. The title was inspired by Suzi Raven's Cry Rice of the Wolf Creek Cherokee Tribe. Young Emily Thomas an 11 year old student of Twohawks is introduced and plays two solo flute songs as well as "Nevermore" a duet with Twohawks. Also appearing is Charlie Crow Dog Myers who plays the Australian Didgeridoo on two outstanding tracks Shapeshifter and Raven Medicine. The songs "Amethyst Sunrise", "Raven's Cry" and "Nevermore" from this CD are in the Background Music Options List. 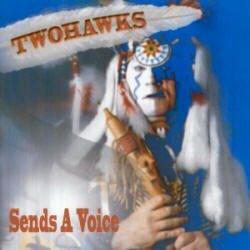 Twohawk's first album ‘Sends A Voice" is a wonderful listening experience. The C/D includes meditative, peaceful melodies to upbeat rhythms, with the Africian Djembe and the Australian Didgerido as well as the American Indian pow-wow drum. 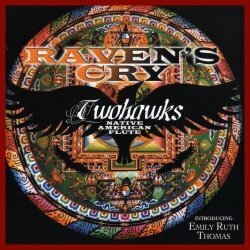 The songs "Sends a Voice" and "Bear Hawk" from this CD are in the Background Music Options List. Twohawks “Changes” pushes the boundaries of Native American flute music with his unique, unmistakable style. The wonderful flute music of Twohawks takes the listener on a deeply comforting journey of spirit that transports you to another time and place. Twohawks and Ancient Fire have brought together a variety of world instruments together on this album that give it a style and sound all its own. His daughter, Stacie, sings on the title song "Changes" and also on "Amazing Grace". The song "White Feather" from this CD are in the Background Music Options List. 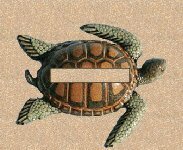 Thank you Twohawks for your beautiful music and for sharing it with us and the visitors to the site. ~~ Stone Woman, Spotted Wolf and Snow Owl (in spirit).